It was a tragic day on July 4th, 2017 when John Blackwell left this world and moved on to the next. John is truly missed, and it was an incredible honor to have had the chance to work with him. Below is his bio from when he first signed on with us. 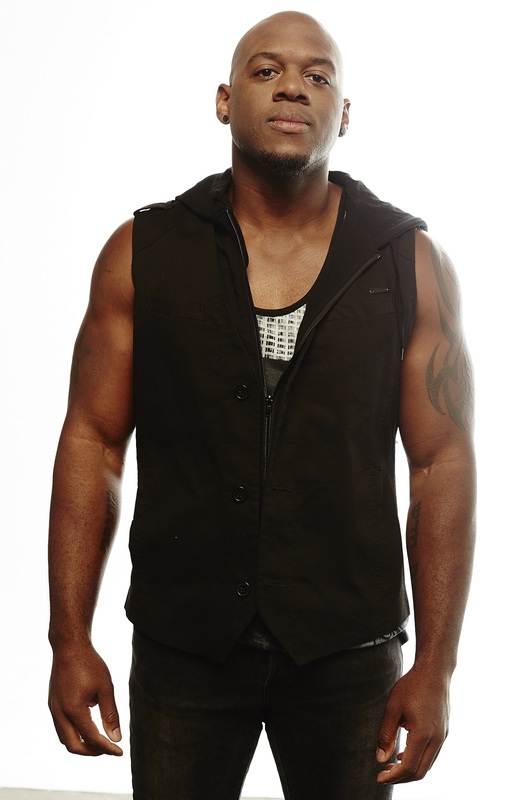 John Blackwell has played with a laundry list of top artists over the past 2 decades and continues to tour with top musicians around the world. He is best known for his 12 year stint with Prince as well has his two instructional DVD's. 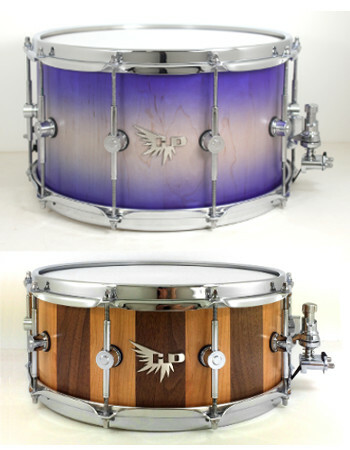 John tried out several Hendrix snares and fell in love with our stave constructed Archetype Series drums. He particularly enjoyed the bright resonant tone, piercing attack, and sensitivity of African Padauk. We designed his signature snare with that drum in mind and it can now be heard wherever John is performing. 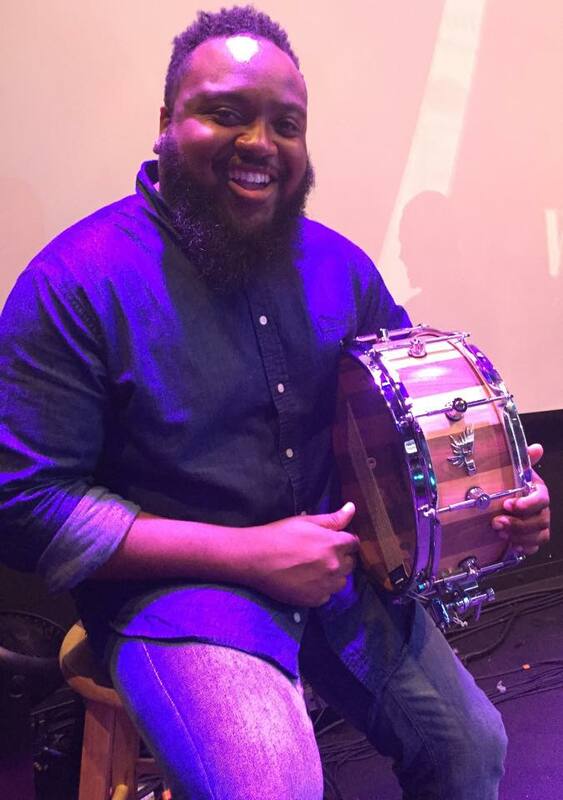 Lester has several Hendrix Drums snares, but his snare of choice on the road with Kelly Clarkson is our 14x8 Heritage Oak series. 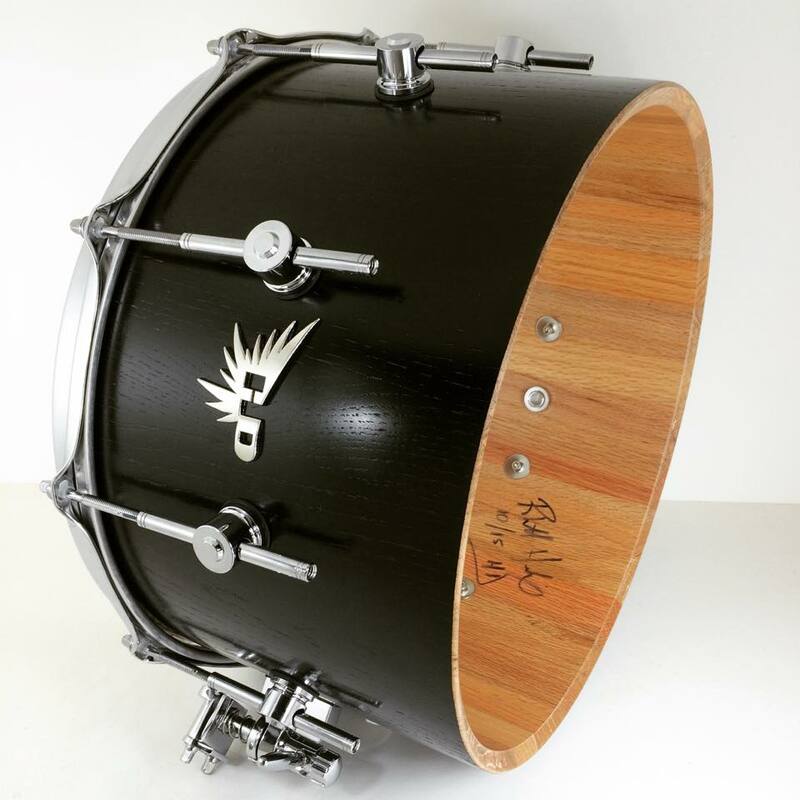 It has a stave constructed shell made from 75 year old aged oak and a satin black finish. Lester is a monster behind the kit and when he isn't touring with Kelly he is busy recording in studios around Nashville as well as performing with his long time band Pillar and backing up many other great performers. Brooklyn-based session drummer Rob Mitzner has appeared on over 30 commercially available recordings and film soundtracks, and was recently featured in Modern Drummer magazine. His latest credits include the album, Action Moves People United, which entered the Billboard charts at #8, as well as Outside Mullinger (Broadway), a performance for then President Obama in his hometown of Washington D.C. and a show a Lincoln Center. He also regularly performs with Woodhead, The Michael Gallant Trio, Jann Klose, Skulk The Hulking, The Depth & The Whisper, Aurical, and Svoy, and was recently featured on DrumTalk TV. Rob holds a B.A. in Music and Political Science from Brown University, where he received the William H. Westin award for Outstanding Musical Performance, and is a Hendrix Drums snare endorser. His now go-to snare is a 14x6.5 walnut snare with a satin black fade finish. An educated musician, graduating from Bloomfield College in New Jersey focusing on music production, Jimmy is currently drumming for The Dives, an up and coming rock band based out of New York City. They've shared the stage with bands such as KISS, Whitford St. Holmes, The Dead Daisies, Enuff Z'Nuff and Kings X, and have been seen in just about every club on the island of Manhattan. Jimmy's drum of choice is of drum is a Hendrix 14" x 8" Black Oak Archetype snare drum. It is perfect for high energy, rock drumming as it has a lot of body without compromising any attack! Kurt Carr, Anita Wilson, Eric Roberson and others..
Dominique Austin is a rock solid player coming out of the DC area. He is known for his incredible groove and precision timing and can throw down some chops with the best of them! He has a large FB following with hundreds of thousands of views on his collection of videos featuring unique re-arrangements of today's hit music. He plays a Walnut/Cherry Hybrid Archetype Series 14x6 snare drum as his main snare, and uses a 14x8 Custom Maple Archetype Series as his side snare. Wendell Holmes Jr. infuses different textures and tones on the drums and cymbals to produce colorful imagery; telling a story his listener inevitably 'gets' and demonstrates agreement with every single head-bob. 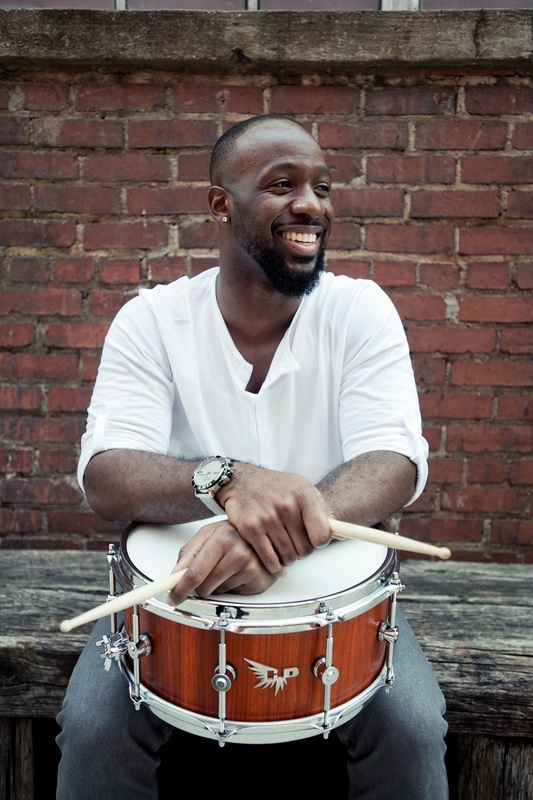 Wendell matured his craft by becoming an innovative drummer with versatility in playing various genres of music such as jazz, fusion, gospel, R&B, funk, blues, country, rock, blue grass, and reggae. He has also produced two own solo albums, entitled "Lewis Ave," and "Above It All." Wendell uses a 14x7 Walnut/Cherry hybrid Archetype Series snare in our gloss finish. Steve-o is a well studied drummer and clinician hailing from the nation’s capital with an impressive social media following, and notable resume. 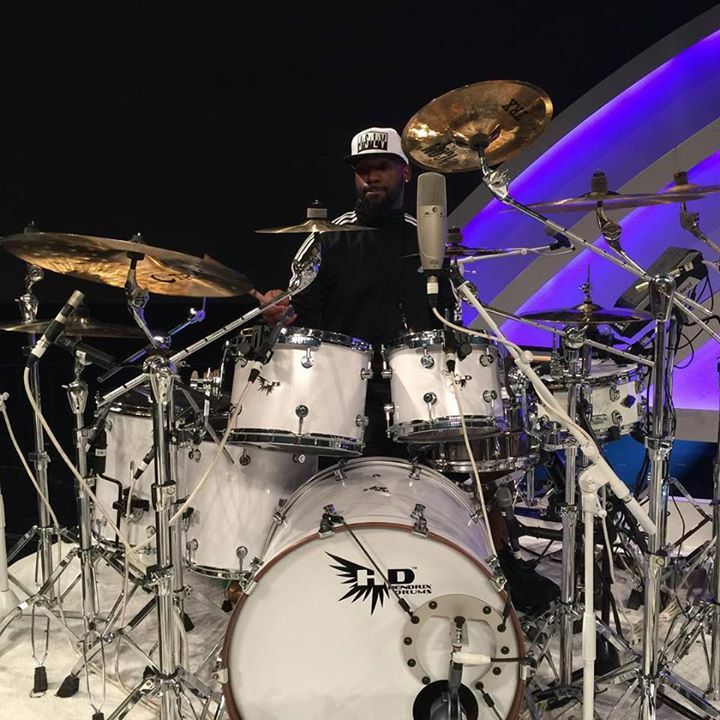 He has played for global artists such as Smokey Robinson, Bobby McFerrin and Ledisi, His expertise and creative ideas combined with his resume and love for quality made instruments, made him a perfect fit for the Hendrix Drums family of artists. Steve-o is known for his technique, unique style, and killer chops. 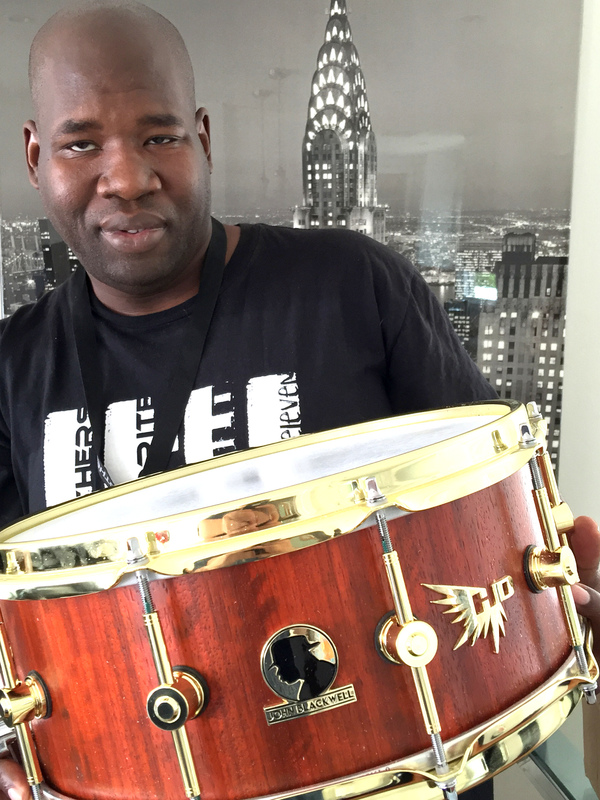 His Hendrix snare of choice is the John Blackwell Signature series. JBake is an incredible artist coming out of the Atlanta area. He plays a walnut Archetype Series stave kit backing up the most successful female artist of all time, Mariah Carey. 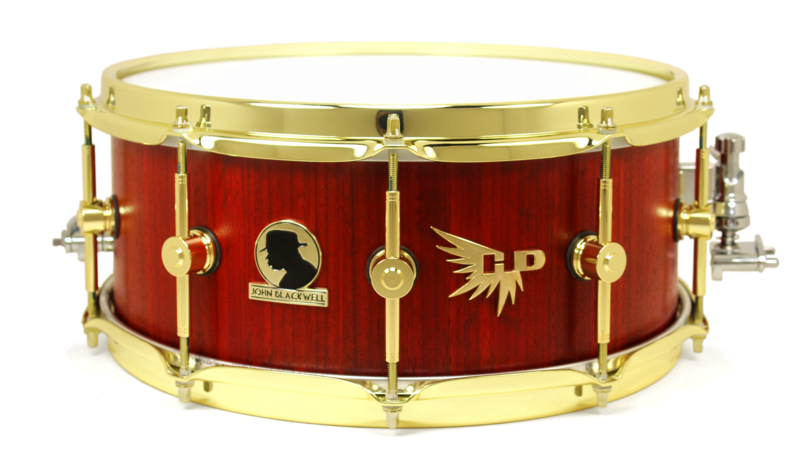 He also uses a custom burned 14x6 African Padauk Archetype Series snare in our satin finish. Wes Watkins carved his place in the musical landscape of the Washington D.C. area playing all kinds of different genres of music with a variety of artists ranging from the platinum selling band, The Fabulous Thunderbirds, to Grammy Nominated Artist, Carolyn Malachi, to his own band, Got My Own Sound. His style of playing is a style unto itself. He has owned many Hendrix Drums, but his current set up includes a 14x8 Custom Finished Quilted Maple snare, a 14x5.5 Custom Finished Curly Maple snare, and a 18" Kick with a 14"x16" Floor Snare. The Foreign Exchange, The Hot at Nights, Laura Reed and others..
Nick Potters is a New Jersey based session musician, live performer, drum instructor and producer. He is the drummer for Chevonne and The Fuzz, a powerhouse rock band from Jersey that has shared the stage with artists such as Neon Trees, SMALLPOOLS, The Last Internacionale, The Belle Brigade and more. Earning his B.M. in sound engineering from William Paterson University, Nick integrates his background as a pianist and his acute musical ear into his drumming; playing with impeccable feel, timing and musicality. He also plays for an ever-growing list of groups around NYC and NJ, whose styles include rock, funk, blues, fusion, R&B, ska, and progressive rock. Nick uses his 14x7 walnut stave snare everywhere, both live and in-studio, for its ability to beautifully blend with any style of music. Jasper “Carnivore” Huang is Hendrix Drums' only international artist. He is a Singapore based drummer, currently playing in the Hard Rock band Vivienne’s Verdict. His ideal snare drum sound is “full-bodied with a cutting bite”, and he found exactly that in our 14” x 6” African Padauk Archetype snare drum. Besides being known for his hard-hitting, groove-driven style of playing, which earned him the “Best Drummer Award” in a prestigious Asian band competition, he also enjoys a wide variety of genres and frequently sits in with other artists around Singapore.